The Internet will turn 44 this year, with the anniversary of the first email message from UCLA to Stanford. The Internet’s first evolutionary leap came in the form of the World Wide Web with the first commercial browser in 1994. This year, advances in physical computing give an indication of how the Internet is about to radically change our lives, again. Physical computing means bringing interactive connectivity and logic systems to the common objects around you. Imagine the convergence of robotics, engineering, the web, and common household appliances. Physical computing involves tactile interactions, home automations, and interactive installations. The Internet of Things (IoT) is here. 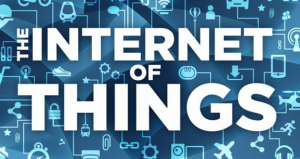 The Internet of Things is a term that arose from a presentation by Kevin Ashton in 1999. He was discussing how radio frequency identification (RFID) chips, which have processors for decision-making and communication transmitters, can be embedded into almost anything. Any object in your environment now has the ability to interact with each other and transmit data. Combined with near infinite information processing capacity provided by a wireless Internet signal, every object can have access to all the information we can imagine. Near infinite information processing may sound like hyperbole, but it is made possible by the distributed computing capacity made possible by web servers. There have been thousands of projects like SETI@home, where individuals connected to the Internet allowed access to their personal computer’s processor. This creates a massively parallel meta-processor to crunch seemingly impossible math problems. In the case of SETI, over 200,000 processors worked simultaneously to scan radio signals from space, searching for signals from extra-terrestrial life. In recent years, there have been several prototypes of self-driving cars that use road sensors with satellite data to avoid crashes and maintain free traffic flow. M2M (machine to machine communication) will form the backbone of the Internet of Things. For example, your car will radio your kitchen to alert you what to buy on the way home and your lights and heat settings will spring to life as you pull into the driveway. Don’t worry about forgetting your keys because the front door identifies you by the pattern of blood vessels under your face from 6 feet away. According to Cisco Systems, there will be 25 billion devices connected to the Internet by 2015 and desktop computers will be the minority. If we include near field communication (like Bluetooth and contactless payment systems) and private networks, there will be over a trillion connected devices within two years. Kansas City, USA, home to outlaws and desperadoes of the Wild West just over 100 years ago, is now on the frontier of the Smart Planet movement. At the end of last year Google went live with experimental free Wi-Fi in Kansas City that runs up to a blinding speed of 1 Gbps. That’s about 1000 times faster than the average smartphone download rates. The test has been so successful that they are rolling-out free Wi-Fi to New York City later this year. Spring Rocket is a Melbourne based Interactive Design & Creative Technology Agency, specialising in interdisciplinary engineering & physical computing. One of our approaches to rapid prototyping is using a 3D printer that can make a working model of just about anything that can be designed. 3D printers have recently made headlines by producing such imaginative devices as a replacement hand and a biodegradable bicycle. Now anyone can access our fabrication workshop to create small-scale digital displays, web-enabled electronic devices, or cutting edge new forms of media and tech. The Internet of Things Initiative has collected the latest knowledge and research on the coming revolution in physical computing. In June this year, Helsinki will host Internet of Things week, showcasing advances in physical computing and interconnected devices. We can expect to see designs for a smart-city, with sensors that adjust bus and train schedules immediately based on traffic and usage, business applications for intelligent supply chains, and consumer-friendly devices that learn and adapt to user behaviour. You can expect to see the Internet of Things enter mainstream consciousness this year, and we may begin to wonder how we ever lived without it. “The Internet of Things has the potential to change the world, just as the Internet did. Maybe even more so.” Kevin Ashton.